You want to know more about Barbie Fashion Hair Salon? 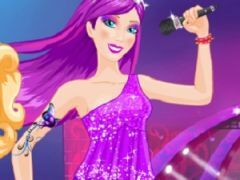 We know that you girls are going to have such a good time playing along with one of your favorite character named Barbie, that's the main reason why we wanted to offer you the amazing opportunity to join her within such a lovely new hairstyling and dress up game called Barbie Fashion Hair Salon. Barbie is a cute fashion girl who wants and needs to look great all the time, that's why she spends a lot of time at the beauty saloons, and today, she wanted to join your very own hairstyle salon where she hopes she will get the best hairstyle possible. 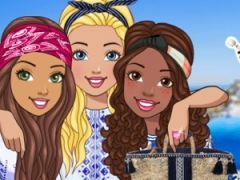 Come and join one of your most beloved Barbie character within this following girly game called Barbie Fashion Hair Salon, a game we've specially uploaded on our site gamesonlinekids.com mostly for you dearest girls and we know that you're going to have such a good time along with beautiful Barbie character. Let's choose a lovely hairstyle for amazing Barbie character, and then, you will get to the dress up part so that you get to complete Barbie's looks. 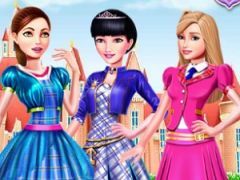 Let's have a good time today playing the latest added dress up and hairstyling game with Barbie, Barbie Fashion Hair Salon, and make sure you girls stay tuned on our site gamesonlinekids.com in order to find more and more such great games to play. Have fun dearest girls! You want to find more about Barbie Fashion Hair Salon? The Barbie Fashion Hair Salon game has part from Barbie Games. This game is played by 150 times, have 2 votes (2 likes and 0 dislikes) and his added 07 November 2018.